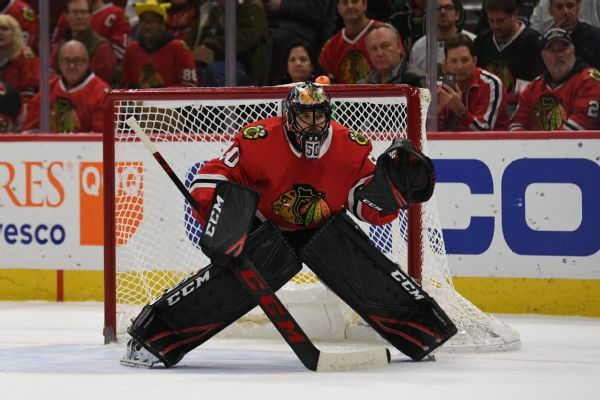 The Chicago Blackhawks said goalie Cam Ward has a right knee injury and will not participate in hockey activities for seven to 10 days. 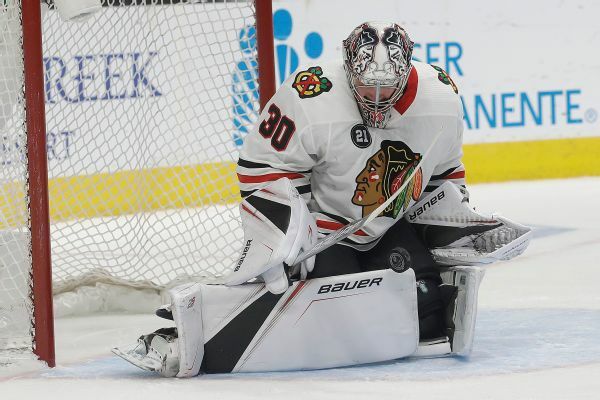 With Chicago netminder Corey Crawford out with a concussion -- "He just needs time," coach Jeremy Colliton said -- the Blackhawks' goaltender situation is completely up in the air. 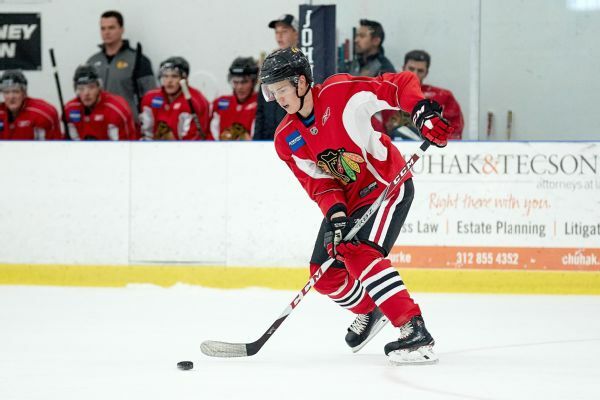 The Blackhawks have loaned Henri Jokiharju to Finland for the upcoming world junior championship. 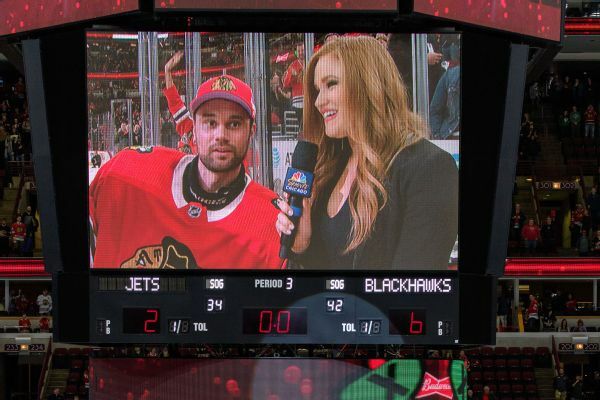 Scott Foster is going to help the Chicago Blackhawks at some optional morning skates after his memorable appearance as an emergency goaltender last season. 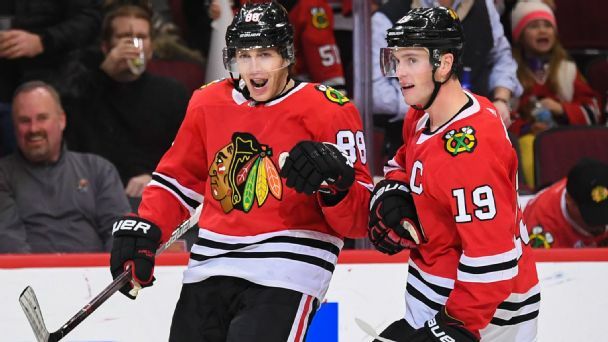 The stars remain, but can the Blackhawks rekindle the fire that drove them to dynasty status earlier this decade? The Blackhawks added forward Chris Kunitz, goaltender Cam Ward and defenseman Brandon Manning in free agency on Sunday. 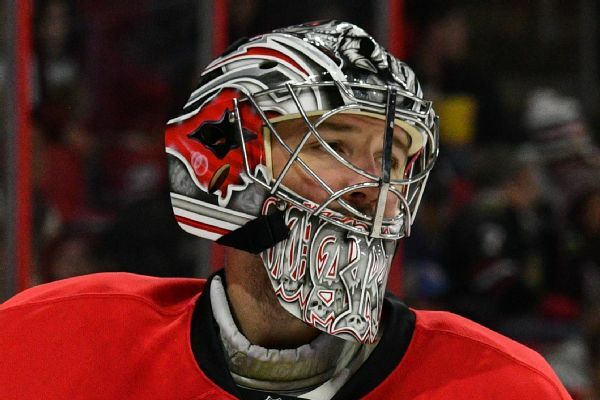 Hurricanes goalie Cam Ward accidentally scored on himself when he unknowingly dragged a puck that was stuck in his skate into the net. A hard one to top by HardenJames Harden conducted one of the most impressive performances in NBA history on Tuesday, setting a slew of individual records en route to leading the Rockets to victory over the Magic.